Rhino Lacrosse is excited to return to the Adam Bronken Memorial Sports Complex for another great week of lacrosse! 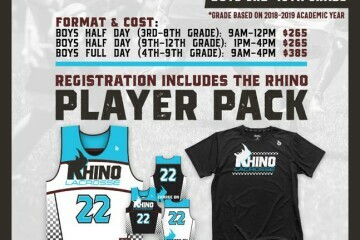 All players will come away from the Rhino Lacrosse Academy with the necessary tools to compete in the game of lacrosse at a higher level. Players will receive position specific training and will leave camp knowing all the important facets of the game from shooting and stick work to the tips, tricks and techniques of the pros. Rhino Lacrosse Academy is an exciting and rewarding experience for lacrosse players of all levels and abilities to improve their skills and confidence.